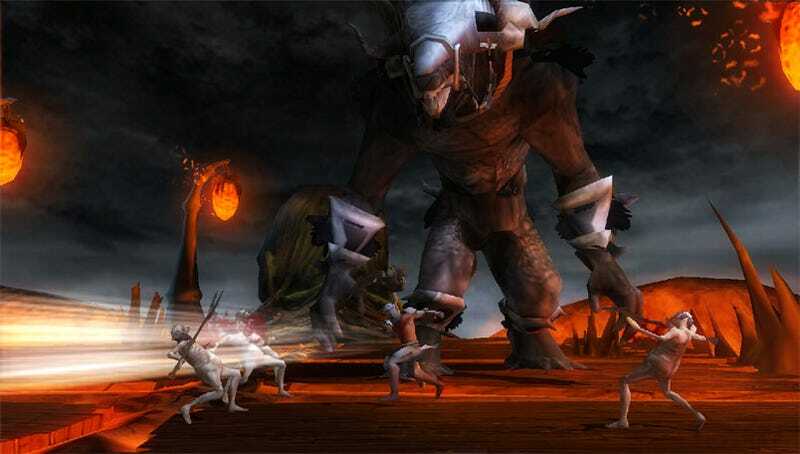 So, yeah, there will be a version of Dante's Inferno on the PlayStation Portable. This is what it will look like. Electronic Arts' classically-inspired brawler has obviously lost a bit of that ol' current-gen sheen on the little handheld, but here's hoping that - like the PSP version of God of War - they can still do something special.